Ernest Meerbeck is not an ordinary glassblower. He is also an artist. In fact, the reason why he founded a company was so he could express himself. In fact, it is on that premise that gave birth to Black Leaf. 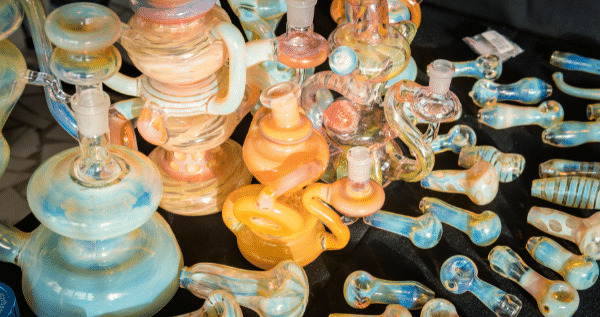 And, over the years, combining artistry with innovation has led to the development of incredible glass pieces that made its name synonymous with bongs and bubblers. Furthermore, he also spearheaded unique honeycomb and tree percolators. One of the latest offerings is the 4-arm Tree Perc that comes with the Beaker Base Ice Bong. 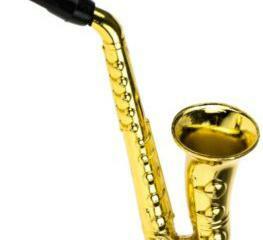 Since its release, this fancy yet fully functional water pipe has proven to be a crowd favorite. With aesthetics to capture the imagination, the piece itself is also built to last quite a while. And, best of all, it is an affordable glass smoking paraphernalia. Besides that, this percolator bong also comes with the signature trademarks that made Black Leaf highly successful. More than anything, it is the physical look that attracts the eye. On that note, Black Leaf’s Beaker Base Ice bong with 4-arm Tree Perc is indeed a looker. With five color choices: black, blue, green, orange and teal that accentuates the bong, customers can choose one that pleases them the most. A big plus is the thickness of the borosilicate glass at 5mm. The whole piece is 40cm (15.7 inches) tall. Thus, it is almost impossible for anyone not to be content with the full hit it delivers. Dry herbs are placed in a male 14.5mm bowl. Once lit and drawn, the smoke travels through the slitted downstem. As it passes through water, not only does it get filtered but also somewhat cools down. From the water chamber, the smoke now goes through the 4-arm tree percolator where it breaks into smaller particles. The resulting smoke once pulled up is the highlight of using this perc bong. A full-bodied hit that is not only flavorful but smooth and easy on the throat and lungs. For a cooler smoke, ice notches on the tube allow users to place a few pieces of ice cubes. Since 2000, Grasscity has been serving the needs of smokers all over the world. From a small startup, they have grown to become the most prominent go-to online retailer of glass smoking paraphernalia. By establishing itself as a trustworthy business, it has attracted numerous brands including Black Leaf. 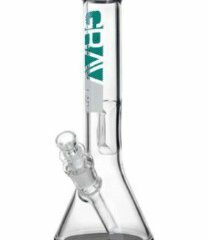 The Beaker Base Ice Bong with 4-arm Tree Perc is available for only $69. It ships anywhere in the world for free too. Apart from the product itself, one thing customers often need to be sure of is the source. Because of the proliferation of fake products and dishonest vendors, it is best to go with an established company that has already made a reputation. Even better, why not go to their forum and sign-up for free. There, hundreds of thousands of people exchange their thoughts and impressions on the different products, as well as the weeds. There are three fantastic things about this bong: innovation, inclusion, and selection. For sure, the concept of percolators is nothing new. However, old does not mean it cannot be further improved. Here, innovation came in as Black Leaf worked not only in upgrading but also introducing new concepts. Instead of segregating dry and ice smokers, the addition of ice notches may seem trivial, but that makes it an all-around kind of accessory that allows users to enjoy the best of two worlds. Lastly, black is not that elegant in everyone’s eyes. That is why Black Leaf added more colors to their selection. Choose between black, blue, green, orange and teal. Beaker base ice bongs have been around for a long time. In fact, it is hard to imagine how one can be any better. Of course, that did not stop Ernest and his company to keep on pushing the envelope, so to speak. In doing so, not once did they let go of the most important thing – that is to deliver the best performance and experience to users. Adding a 4-arm tree perc, in this instance, was a wonderful idea that simply works. Buy Black Leaf Beaker Base Ice Bong with 4-arm Tree Perc Here! The post Black Leaf Beaker Base Ice Bong with 4-arm Tree Perc appeared first on I Love Growing Marijuana.